Your Stupid Minds continues its unofficial ninja theme with a film that, despite having “Ninja” in the title, essentially has karate action masquerading as ninjutsu. 3 Ninjas Knuckle Up is the third film in the 3 Ninjas franchise and contains all of the original cast members! Shot almost concurrently with the first film, before a legal dispute forced the producers to shelve it and recast two of the kids in 3 Ninjas Kick Back, Knuckle Up was finally released three years after the original with mostly unaged child heroes Rocky (Michael Treanor), Colt (Max Elliott Slade), and Tum Tum (Chad Power). The trio and its elderly grandfather (Victor Wong) travel somewhere close to an Indian reservation during summer break, and find themselves volunteering ninja services to local Native Americans terrorized by an evil garbage dump owner Jack (Charles Napier), who pollutes their land and kills their children. The boys use their karate ninja skills to rescue the father of little girl Jo (Crystle Lightning), and fight full grown adult goons who are constantly humiliated and physically bested by children. Directed by Sang-ok Shin (a.k.a. Simon S. Sheen), who was kidnapped by Kim Jong-il and forced to make films in North Korea until he escaped to a U.S. embassy. Donal Logue sits on multiple cactuses in this movie. 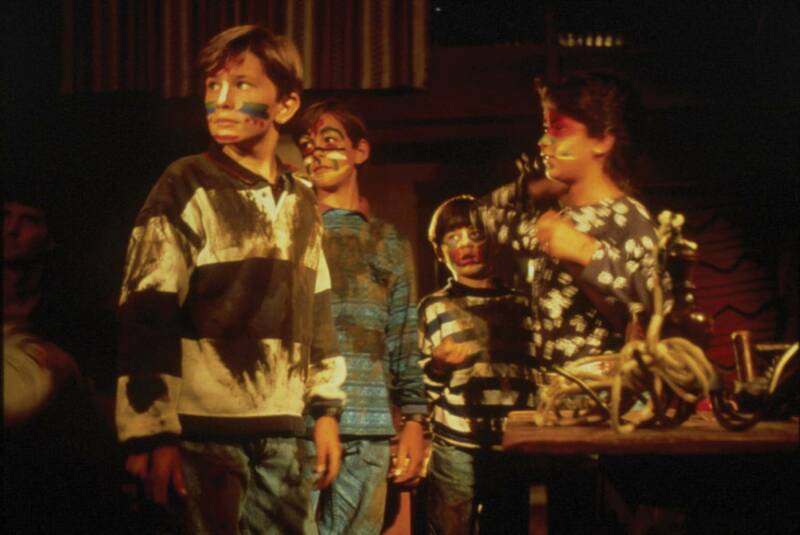 For more non-stop ninja action, see Chris's review of 3 Ninjas: High Noon at Mega Mountain.